In the 300s AD, the White Huns were living in the kingdom of the Rouran, in Central Asia north-west of China. Probably the White Huns were mostly Indo-Europeans who spoke a language related to Sogdian and Persian, but there were Turkic people among the White Huns as well. The White Huns were among the last powerful Indo-Europeans on the steppes, before the Turkic people took over. Most of the White Huns were Buddhists. By around 400 AD, the White Huns left the Rouran kingdom and moved gradually further south and west instead. Here they first met the Sassanians, who called them the White Huns because of the whiteness of their skin and their pastoral lifestyle, like that of the Huns. The White Huns weren’t really related to the other Huns, though. The Romans called them the Hephthalites, which may be closer to what they called themselves. The White Huns followed the path of earlier Indo-European invasions going south. 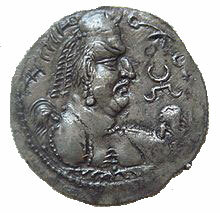 Around 425 AD, the White Huns conquered the Sogdians. They continued south-west and conquered the eastern part of the Sassanian Empire as well, and then went further south across the Khyber Pass into northern India. The White Huns settled down and built Buddhist monasteries and other buildings. 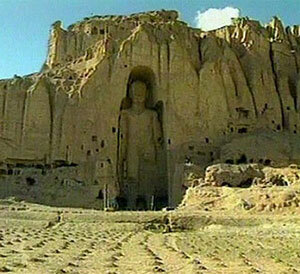 Their carvers created the great Buddhas at Bamiyan in the early 500s AD. Some of the later White Huns in India seem to have converted to Hinduism. By 557 AD, however, the White Huns had lost most of their power. The Guptans drove them out of India in 528, and then the Sassanians drove them out of the Sassanian Empire and Sogdiana. The White Huns pretty much fell apart after that, though the Pashtuns who now live in modern Afghanistan and Pakistan are descended from the last of the White Huns. Cite this page: Carr, K.E. White Huns – Central Asian history. Quatr.us Study Guides, May 31, 2017. Web. April 23, 2019.